February 6-10, 2012. Nogales, Mexico. A border town between Arizona, US and Sonora, Mexico. 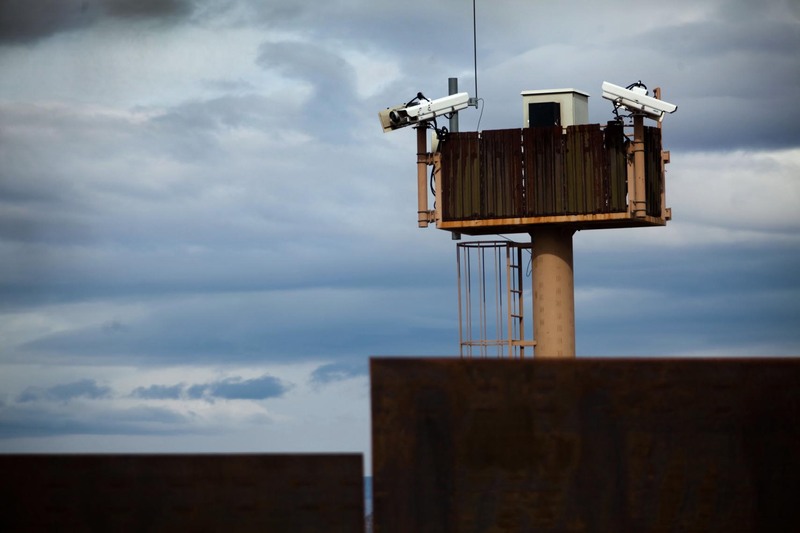 Here, surveillence towers located in intervals just beyond the fence help the border patrol to monitor the drug trafficing or any impending approaches. Piotr Redlinski for The New York Times.